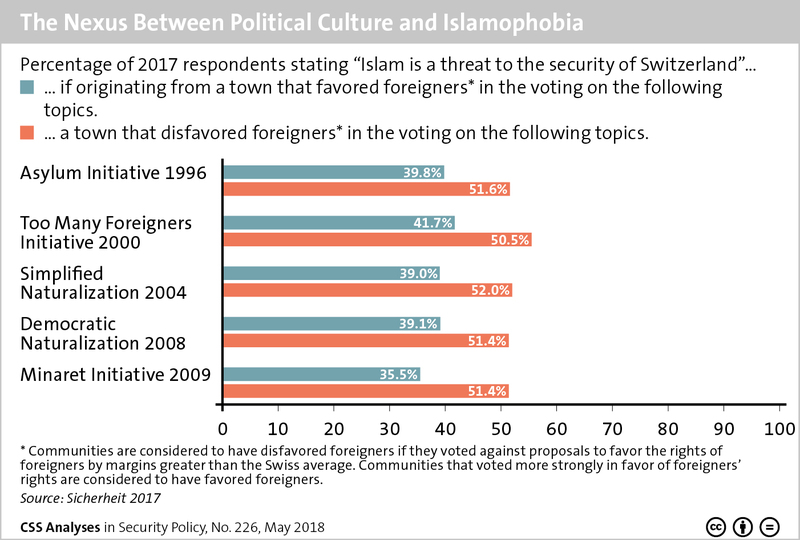 This graphic highlights the connection between political sentiment and Islamophobia in Switzerland. To find out more about views on Islam in times of terrorism, see Darius Farman and Enzo Nussio’s addition to the CSS’ Analyses in Security Policy series here. For more CSS charts and graphics, click here. Image courtesy of US Department of State/Flickr. This article was originally published by IPI Global Observatory on 31 July 2018. With Iran and Afghanistan as neighbors, Turkmenistan is often overlooked due to its proximity to geopolitical hotspots. Recent measures by its government to restrict emigration may seem peculiar without greater context on the challenges facing the country. Economic mismanagement and issues in securing the country’s border against the Taliban and the Islamic State (ISIS) and affiliated groups are just some of the signs that without a change in approach, there is a risk of a destabilization in the country. 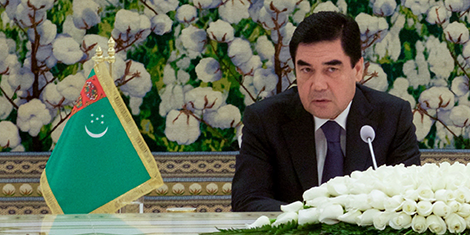 With endemic corruption, systemic flaws, and a totalitarian leader, the impact of larger failings in Turkmenistan could have potentially significant geopolitical repercussions. 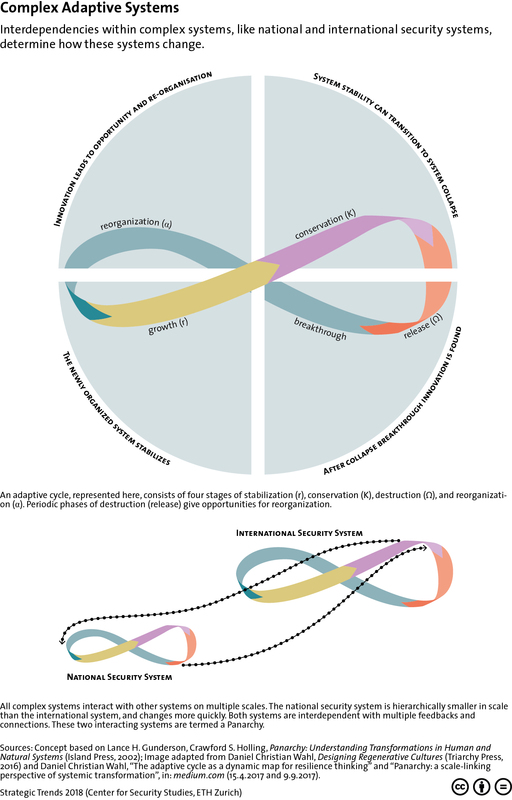 This graphic depicts 1) the adaptive cycles that take place within complex systems, such as national and international security systems; and 2) how national security systems interact with international security systems. For more on this subject as well as the concept of resilience, see Tim Prior’s chapter for Strategic Trends 2018 here. For more CSS charts, maps and graphics click here. This graphic outlines the multi-level stakeholder coordination utilized by Switzerland to address security threats- both physical and cyber. 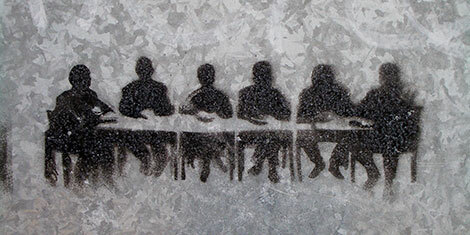 For more on subsidiarity and the evolution of Swiss security policy, see Matthias Bieri and Andreas Wenger’s newest addition to the CSS’ Analyses in Security Policy here. For more CSS charts, maps and graphics, click here. This article was originally published by War on the Rocks on 4 December 2017.